For the special employee whose contributions outshine the rest, this elegant yet affordable employee recognition award is the perfect choice! It's a motivational winner and employee favorite; plus it will fit easily into even the tightest of employee award budgets. 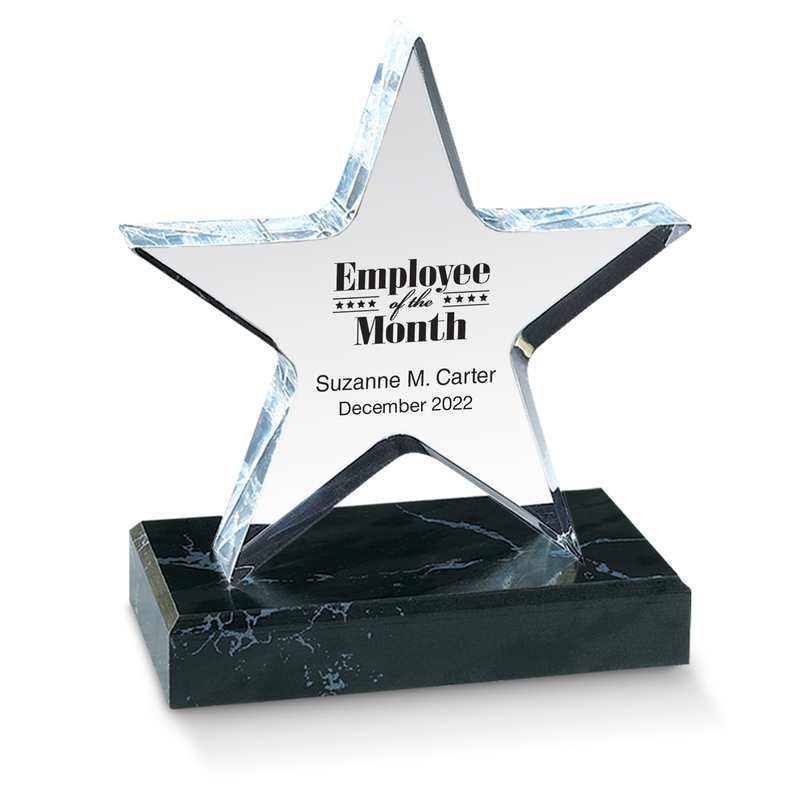 The Lucite Acrylic Star is a full inch thick and is detachable from the black onyx-like wooden base. Star and base are two separate pieces.